As a back-end engineer candidate will be involved in server infrastructure planning, API design and coding required features. One more critical aspect of this project is to provide encrypted communication. 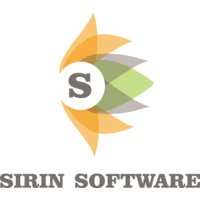 Sirin Software is a service provider of Embedded Linux and IoT solutions with a modern office in the historical center of Kyiv and friendly family atmosphere. In the last few years we successfully provided various software solutions to US, European and Asian customers. Since 2016 we have started providing Hardware Design services in cooperation with product owners. Our company has an expertise in such domains as Networking, Storage Systems, Cloud Computing, Buildings Automation, Drivers, IoT e.t.c. We help business to drive digital transformation across the full product cycle and deliver sustainable innovations to market. Our embedded software developers have experience in developing system software for numerous hardware and software platforms. In case you already have a detailed technical requirement document, or when you have just a general idea in your mind, we can help you to come through all the steps of systems development life-cycle. From idea, through software design and implementation, to a ready-to-use commercial product.